Viewed recently by 23 people. Situated in a picturesque beachfront location on the southern end of Muri Lagoon, the Rendezvous Villas are only a 15 minute idyllic walk to the Pacific Resort, where you can wine and dine with that special someone. The contemporary pacific design and location is the perfect setting for that special holiday getaway. 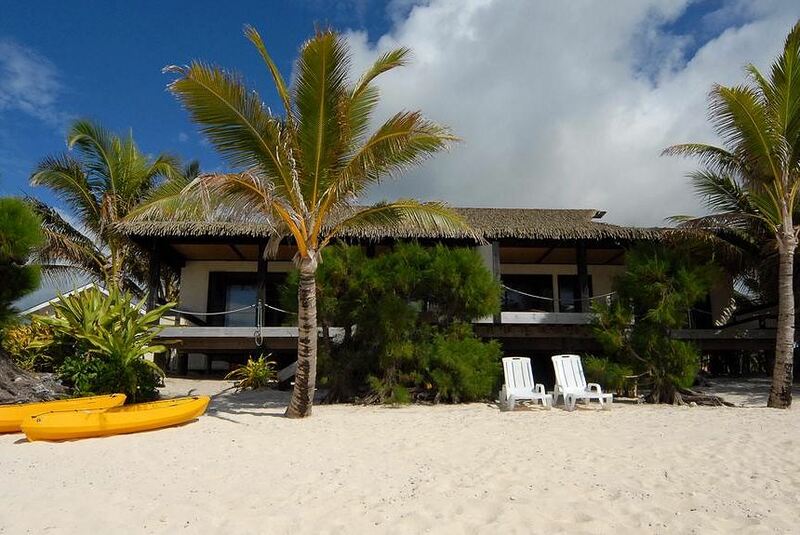 There are two duplex, one bedroom villas, both with a direct access to the beach and excellent views of the lagoon. These modern pacific villas are extremely generous in size and are equipped with all the essentials and much more. Laze away on the 'right on the beach' patio's with BBQ area or soak in the warm Pacific sun in the secluded fresh water plunge pool at each villa.